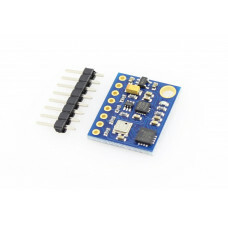 With this module you can create a drone with multiple sensing peripherals. Let us discuss on how it is an advantage on using this module. The MPU-6050 is from Invensense. It has 9-axis sensor fusion using its MotionFusion engine. 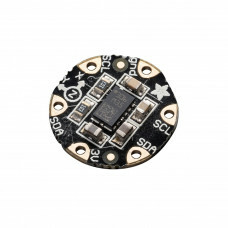 It has a 3-axis MEMS gyroscope, a 3-axis MEMS accelerometer, and a 3-axis magnetometer. The HMC5983 is from Honeywell which is a surface-mount, multi-chip module for low-field magnetic sensing. 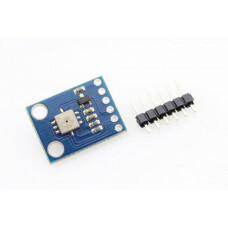 The MS5611 is altimeter sensor from MEAS. It has a altitude resolution of 10cm. It provides a precise digital 24 Bit pressure and temperature value and different operation modes that allow the user to optimize for conversion speed and current consumption.A high resolution temperature output allows the implementation of an altimeter/thermometer function without any additional sensor. 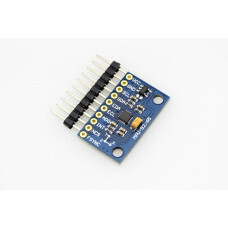 This module is interfaced using i2c. 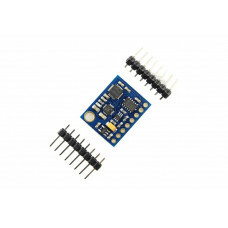 This IMU 1DOF is based on the sensor L3G4200D, ADXL345, HMC5883L and BMP180.The L3G4200D is a low-po.. The MPU-9250 is a 9-axis MotionTracking device that combines a 3-axis gyroscope, 3-axis acceleromete..